Dean Kujawa-Holbrook is a priest of the Episcopal Diocese of Los Angeles, a professor of Anglican Studies at Bloy House, and an educator, historian of religions, and practical theologian. In addition to her thirty years of experience as a teacher, trainer, spiritual director, chaplain, and workshop, conference and retreat leader, Kujawa-Holbrook is the author of a dozen books and numerous articles, training manuals, curricula, and reviews. Among her recent books are: God Beyond Borders: Interreligious Learning Among Congregations (Wipf & Stock, 2014), the first book in the Horizons in Religious Education Series: Pilgrimage – The Sacred Art. Journey to the Center of the Heart (Skylight Paths, 2013), noted as one of the best spiritual books of the year; The Heart of A Pastor: A Biography of Edmond Lee Browning (Forward Movement, 2010); Born of Water, Born of Spirit (Alban Institute, 2010); and, Injustice and the Care of Souls: Pastoral Care in Marginalized Communities (Fortress Press, 2009). Before her academic career, Kujawa-Holbrook worked world-wide for the Episcopal Church in education and ministries with young people. 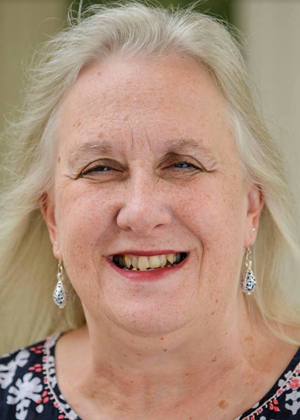 She is on the boards of the Journal of Inter-Religious Studies, the Kaleidoscope Institute (KI), and the book review editor of Anglican and Episcopal History. In 2010-2011 Kujawa-Holbrook was a fellow in the Christian Leadership Initiative sponsored by the American Jewish Committee (AJC) and the Shalom Hartman Institute, Jerusalem, Israel. The Writings of Hildegard of Bingen, Annotated and Explained. Skylight Illuminations. Skylight Paths, 2016. Pilgrimage – The Sacred Art. Journey to the Center of the Heart. Skylight Paths, 2013. http://artofpilgrimage.org; A “Best Spiritual Book of 2013,” by Spirituality & Practice; Catholic Book Club Selection, April 2014. The Heart of a Pastor: A Life of Edmond Lee Browning. Forward Movement, 2010. Born of Water, Born of Spirit: Supporting the Ministry of the Baptized in Small Congregations, with Fredrica Harris Thompsett. The Alban Institute, 2010. Injustice and the Care of Souls: Pastoral Care with Marginalized Communities, with Karen B. Montagno. Augsburg Fortress, April, 2009. Seeing God in Each Other: Harrisburg: Morehouse Publishing, 2006. Deeper Joy: Laywomen and Vocation in the 20th Century Episcopal Church, with Fredrica Harris Thompsett. New York: Church Publishing, 2005. ‘By Grace Came the Incarnation’: A Social History of the Church of the Incarnation, Murray Hill, New York, 1852-2002. New York: Books Just Books Press, Advent, 2004. A House of Prayer For All Peoples: Congregations Building Multiracial Community. Bethesda: Alban Institute, 2003. “Freedom Is A Dream”: A Documentary History of Anglican and Episcopal Women in America. New York: Church Publishing, 2002. Disorganized Religion: The Evangelization of Youth and Young Adults. Cowley Publications, 1998. GodWorks: Youth and Young Adult Ministry Models…Evangelism at Work with Young People, with Thomas K. Chu and Anne Rowthorn. Harrisburg: Morehouse Publishing, 1997.